much love, illy: sponsor love + giveaway: SmartBuy Glasses (Ray Ban giveaway)! 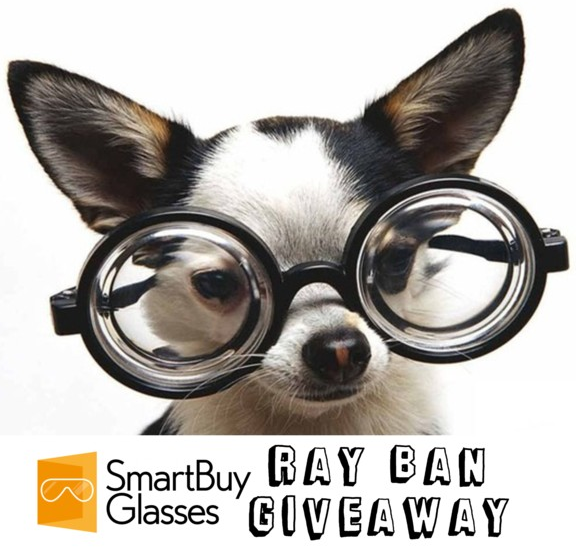 sponsor love + giveaway: SmartBuy Glasses (Ray Ban giveaway)! SmartBuyGlasses is the leading online eyewear store, with over 160 brands to choose from! Constantly evolving and run by a youthful group of people, SBG's goal is to offer affordable, accessible eyewear. One of the main things we take pride in is our Buy One Give One program, where we donate a pair of glasses to someone in need. This summer we surpassed our original goal of $1 million dollars of glasses donated. if you are like me at all, i am a complete sucker for sunglasses anytime of the year! i have them in colors and shapes and sizes, so to stumble across a website like SmartBuy Glasses with their variety of sunglasses and eyeglasses in all shapes and colors in designer brands at affordable costs is a dream come true! and today a very lucky Much Love, illy reader has a chance to win a pair of Ray Ban New Wayfarer sunglasses (valued over $100+)! who does't want a pair of this stylish brand and style for any day or time of the year?! Like the SmartBuy Glasses Facebook page and let them know that Much Love, illy sent ya! use coupon code MUCHLOVEILLY for 5% off of your entire SmartBuy Glasses order (valid thru January 21st)! Giveaway is open to US Much Love, illy readers thru January 16th. Winner will be announced on January 17th. My favorite pair is the classic Ray Ban Wayfarers! I really like the Wafers. I had a pair and they were stolen so I would really like to win! I liked them on Facebook, and also tried twice to write on their wall, but I don't see it! LOVE the new wayfarer, but the Chloe CL 2260 C01 O are pretty cool, too. I left a comment on the SmartBuy Glasses facebook page, but I can't see it. Hopefully it is there! my favorite pair are the Balenciaga 0048SKJI! I liked the FB and commented! I love Coach sunglasses! Like Coach Sabrina HC8014 500113. I like SmartBuyGlasses on FB! I really like the pair of sunglasses up for grabs, but I also like the Ray Ban RB2140 Original Wayfarer 954. I love these MK sunglasses! I follow much love ily on facebook! i follow much love ily on twitter! Of course I follow you via GFC! I LOVES ya! I already like your FB page, too, my dear! I like the Carrerra CARRERRA 45 Sunglasses! I liked the SmartBuy Glasses Facebook page and let them know that Much Love, illy sent me! I love the Balenciaga BAL 0076/S ECK/R6 sunnies! Likede them on fb and told them you sent me chica! I went and liked the facebook page! And now I follow your blog on GFC, I always follow on Bloglovin' normally. I follow you on twitter now, MarlaLarsen13 ! I liked and commented on their facebook page. My favorite pair are the Alain Mikli AL1071 2884. I follow on GFC as Anne Watson. I liked SmartBuy Glasses on FB!! These are my absolute favourite sunglasses! I'm a GFC follower of course! I love the Balenciaga BAL 0048S KJ1 sunglasses. I love finding new brands of sunglasses to fall in love with! I like this post! I got a pair a year ago and feel the frames are small compared to the big trendy, nerd ones that are popular now. it gives me an idea of what style i want next! I recently buy alain mikli eyeglasses in purple shade.